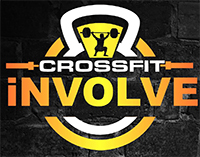 Welcome CrossFit Involve, a CrossFit gym relocating to 150 S. Patterson Blvd. The space is adjacent to the Dayton Metro Library’s administration office and underneath PrintPoint. The ownership team that includes Zack and Anna Caldwell, Tim and Abby Allen, and Lisa Patton are installing a new garage door, a new bathroom, and new flooring, and they are giving the space a complete cosmetic makeover. The grand opening will take place later this year. For details on programs, pricing, and other fitness-related information, visit the website or the business’ Facebook page.